Just because it’s summer doesn’t mean you shouldn’t take advantage of your slow cooker. In fact, I like using my crock pot even more in the summer. I can spend the beautiful sunny hot days outside enjoying myself and when it’s time for dinner, I don’t have to do anything but serve and eat. 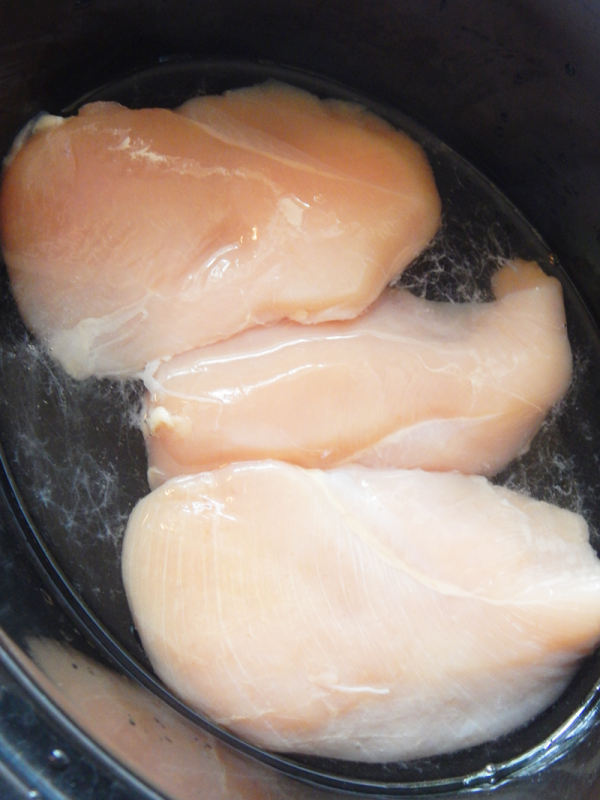 And you can always fire up the grill for your protein and make a side or dessert in the slow cooker. What I’m saying is…. don’t stop using your slow cooker (crock pot) just because it’s summertime. 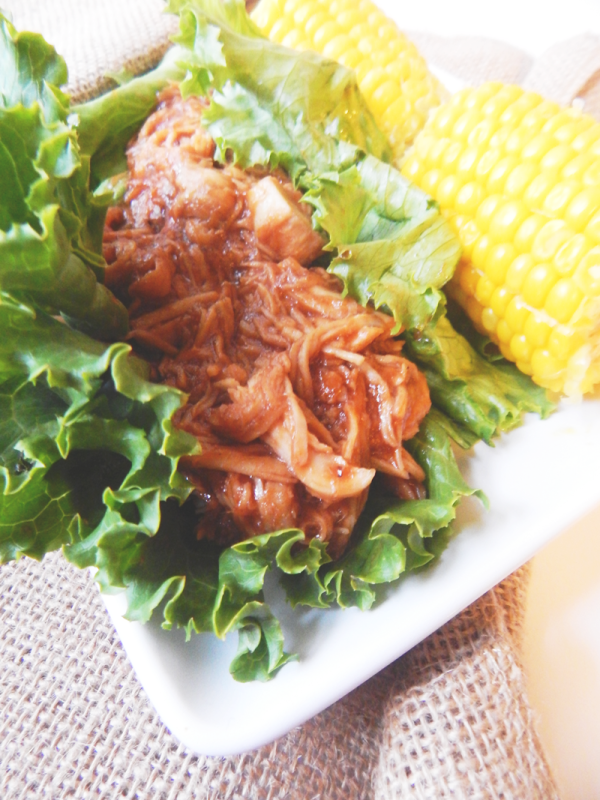 Here’s a delicious summertime recipe to make in your slow cooker that’s a taste of summer with bbq chicken and lightened up by making lettuce wraps with it. You don’t need a lot of ingredients for a dish to taste good. Let the flavors of a few ingredients shine through. 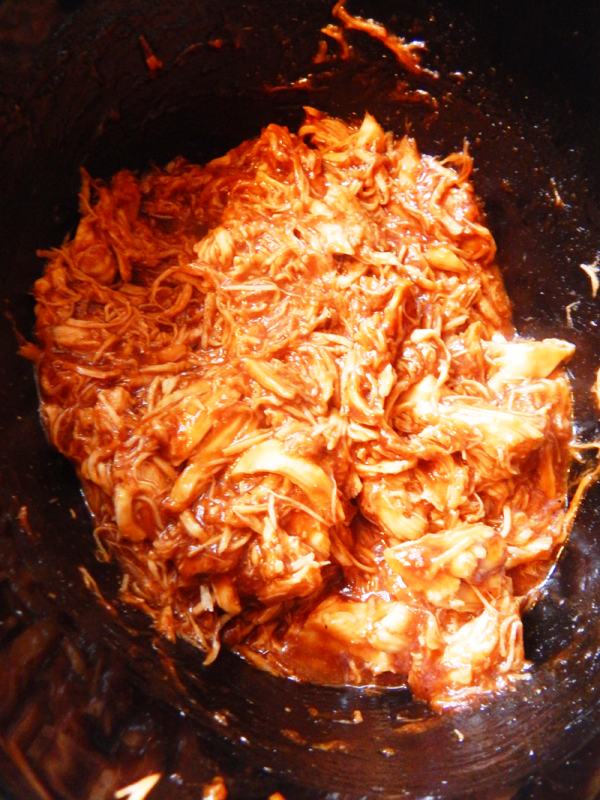 Add in 1/2 cup water, bbq sauce and coconut sugar and continue to cook for 30 minutes. Another thing I love about this recipe, besides it being delicious, is that it uses basically 3 ingredients. You really taste the flavor of the chicken. It’s also a cheap meal, so if you have a large family a good value meal is important. Definitely a lot of bang for your buck. Here’s to enjoying delicious summer meals without spending a lot of time in the kitchen! 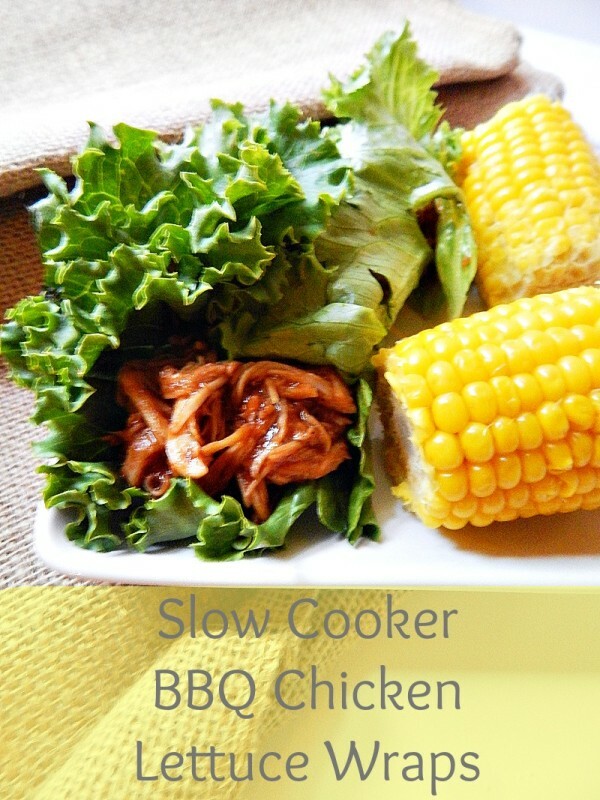 Do you use your slow cooker in the summer and what’s your favorite thing to make? This recipe looks easy to do and REALLY good! I am definitely saving this post, so I can go back to it when I have all the ingredients. Thanks so much for the post. These sound awesome! I always get lettuce wraps whenever we go to a Thai restaurant, but I’ve never even thought of having them like this! What a great recipe – and I am a HUGE fan of coconut sugar! What an easy and delicious meal! Thanks for this great recipe! Love how it turned out, yum! I love using the slow cooker in summer. It is great not to have to turn on the oven and stand over it getting hot. This looks really good! I’ve really been into lettuce wraps lately. When you combine it with pulled BBQ, it pretty much requires me to eat it. What a delicious looking recipe. I love lettuce wraps so I am loving this. My slow cooker is my BFF. I use it all year long, and it just told me it can’t wait to try this recipe. Yum! I love lettuce wraps but had never thought about bbq chicken in them. This looks delicious and I’ll be trying it soon myself! Ooh I just got a new slow cooker and I should totally break it in with this! 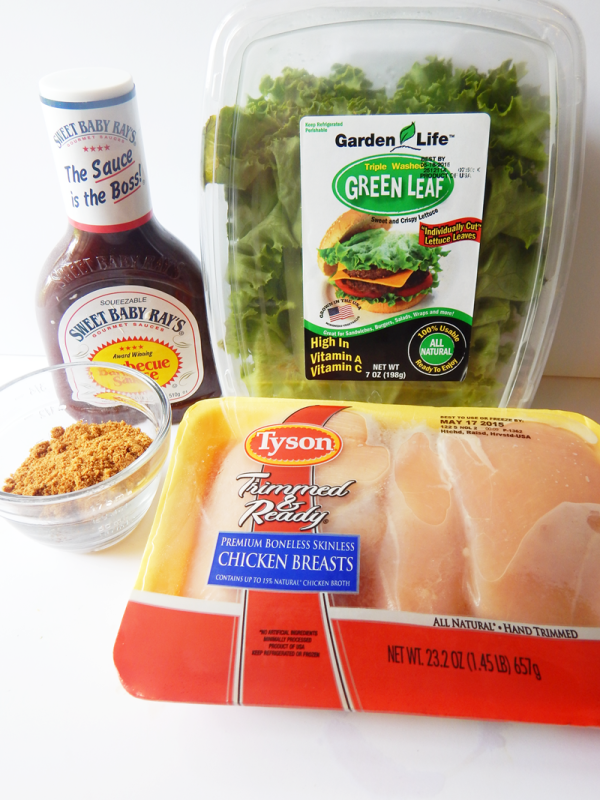 I love BBQ and I love chicken lettuce wraps- two of my favorite things! I do use the slow cooker year round. I enjoy a home made pasta sauce that’s cooked all day. It’s tasty and smells good. I love slow cooker meals in the summer. I never thought of lettuce wraps. They look delicious. This looks really good. I love lettuce wraps and bbq chicken sounds like a great accompaniment. This sounds like something Chris would really like and thank you for sharing your recipe. Yummo!! I love that you cut the carbs out fo these!! I love low carb recipes!! You don’t get that super uncomfortable full feeling after!